ALL OF THESE TRANSACTIONS ARE FRAUD! The instigators of these transactions prey on the ignorance of other people hoping to pull off an Mt103 Scam before they wake up and discover the truth. Here are the Facts and a strong warning for our customers, don't ever get involved in Mt103/23 pr Mt103 One Way or Mt103 Two Way. If you do you will be very disappointed and you will just hear and sucking sound as your wallet and bank account is being sucked dry by scammers! SWIFT MT103 Founded in Brussels in 1973, the Society for the Worldwide Interbank Financial Telecommunication (SWIFT) is a co-operative organisation dedicated to the promotion and development of standardized global interactivity for financial transactions. The society operates financial messaging service for items such as letters of credit, payments, and securities transactions between member banks, securities houses and other qualified financial institutions worldwide. SWIFT's key function is to deliver these messages quickly and securely. Member organisations create messages in a number of formats (MT100 to MT999), dependent on purpose, that are then forwarded to SWIFT for delivery to the recipient member organisation SWIFT MT-103’s are the most commonly used form of SWIFT communication, and are normally used to make payment to customers of another bank in another country. The Mt103 is a simple form of SWIFT message that is commonly used by banks to perform the movement of funds from the senders bank to the beneficiaries bank. The Mt103 is a vanilla SWIFT Message that only allows very basic terms to be attached to the SWIFT Mt103 transfer. These terms normally cover things such as the beneficiaries bank undertaking to advise the beneficiary that the transfer has been completed. Scammers con people into believing that there is such a thing as a "conditional" Mt103 named a Mt103/23. They claim that with a "conditional" Mt103/23 the beneficiaries bank will not release the funds to the beneficiaries account until the beneficiary completes specific documents or the sender has provided confirmation that the funds can be released by the Beneficiaries bank to the beneficiary. The truth is..... The Mt103 is NOT designed for ANY type of conditional transaction and you CANNOT send a Mt103 or a Mt103/23 with any type of condition attached! The Field 23 Instruction Code used to be used where the sending bank (at the request of the sender) puts a simple code instructing the beneficiaries bank how to effect payment. Field 23 is VERY LIMITED and is designed solely for basis short text like: "Telephone Beneficiary on Receipt" or "Credit Account Immediately". There was no space to enter "conditions". So there was NO POSSIBLE WAY to send a Mt103/23 or a Mt103 with any type of "condition"
Transactions that involve the conditional release of documents are administered by lawyers, escrow and trustees, NOT BY BANKS! Today Field 23 is no longer used and any reference to a Mt103/23 is false. That field is now defunct and no longer used by ANY Bank. Today any person offering you a Mt103/23 transaction is committing fraud by offering an impossible transaction that has no technical way of ever being keyed into the SWIFT System. Common sense isn't that common when it comes to people who are determined to complete these deals. There are exceptional quality ways to safely make money such as our Managed SBLC Program. Avoid the below Mt103 One Way and Two Way Scams. Currently in Linkedin there are 138 people promoting or taking part in this SWIFT 103/202 scam. That is just mind boggling! One of the best explanations of the SWIFT Mt103/202 process and structure is here. Excellency, Gen. Muhammadu Buhari GCFR, the President Federal Republic of Nigeria to transfer overdue Inheritance fund to you. with a guarantee that your Approved Fund will be wire into your nominated Bank Account by PAYMENT BY MT103/202 TWO WAY transfer. PAYMENT BY MT103/202 METHOD without any further delay. and serve you better. Please kindly send us the below information. Thank you for choosing KEYSTONE BANK. The customer is duped into thinking they are going to be wired a large sum of money by Mt103/202 because their loan is approved. But before they can receive the money the client has to pay numerous costs and fees to the issuing bank before they can send the Mt103/202 SWIFT. Sadly in most cases no REAL Mt103/202 payment ever arrives! People get blinded by greed and sucked into this scam which has no valid commercial reason for this type of transaction ever. Wise clients will stop and ask themselves the simple question.... What is the normal commercial reason any customer would consummate this type of transaction? If there is no sensible, valid, reasonable commercial reason for this transaction then DONT DO IT! 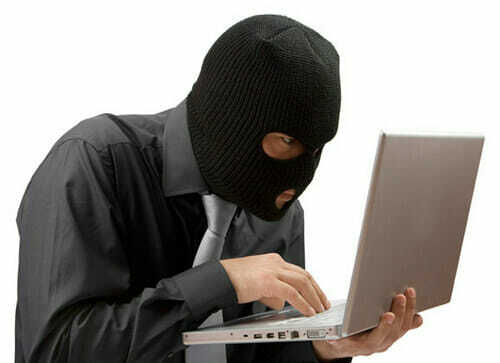 In this scam customers are told they just need to have a bank account to receive a 30 Million dollar Mt103, when they receive the 30 Million Dollar Mt103 payment, the customer is allowed to keep 5 Million Dollars and then he needs to wire the other 25 Million Dollars to bank coordinates that are provided to him by the scammer. Yes you get 5 Million dollars for receiving stolen funds, being a part in a Money laundering chain and paying the 25 Million of stolen money to a new clean account as you are instructed by a person you have never seen and never met. Its a GREAT DEAL until you go to jail! The problem is when the Police finally get around to investigating the stolen funds and cash, they trace the SWIFT Mt103 right to your account. You then have two options repay the 30 million dollars that was stolen or go to jail. Judges in these cases have been particularly harsh with "innocent receivers" who claim they knew nothing about the fraud but were happy to bank a 5 million dollar profit for letting the funds pass through their account. This is pure and utter foolishness. Don't ever get involved in it. There are far easier ways to legally make money such as our Managed SBLC Program. Use low risk investment strategies to build your wealth with Secure Platform Funding.